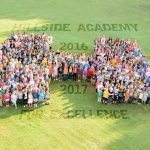 Hillside Academy For Excellence School (Garland, TX). While Hillside is one Eagle family, the family is divided into four “houses.” All students and staff/faculty are members of a specific house. Individuals receive house points for academic performance, acts of responsibility, acts of kindness, and volunteerism. Houses earn parties based of the number of points earned, which builds motivation to achieve more. Within their houses, students learn to function in and to support a group of all ages, academic abilities, cultural backgrounds, and socio-economic levels. Examples of other meaningful experiences at Hillside are the trips that grade levels take. Fifth graders take an annual trip to camp where they are introduced to hands-on outdoor education the moment they step off the bus. The students work all week on outdoor activities, academics, and end the week with a bonfire and group skits. In addition to promoting academic goals in all subject areas, the trip promotes social and emotional growth through team building activities as well as through the groups to which students are assigned. Fourth graders take a trip to Austin and visit the state capitol and museums—another immersive learning experience. Fourth graders also learn social and emotional skills needed to function within a group.